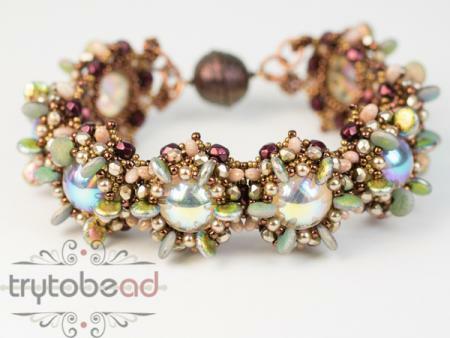 Catelyn is a splendid bracelet with a martial touch. 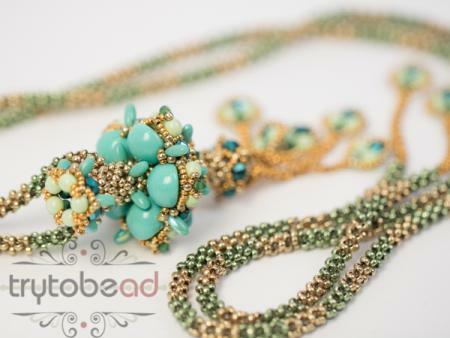 The shimmering dome beads make it a very special eye catcher. The pattern includes 12 pages with many drawings and pictures. 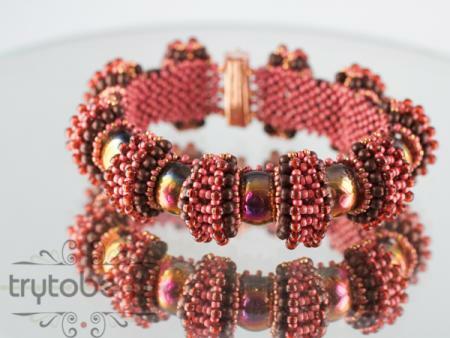 Beading level 2, a good tension is required. 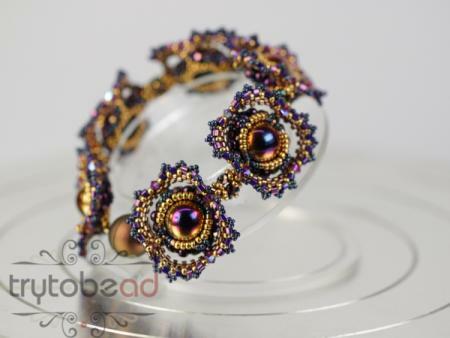 This bracelet enhances the unique shimmer of the dome beads. The pattern includes 12 pages with many pictures and illustrations.